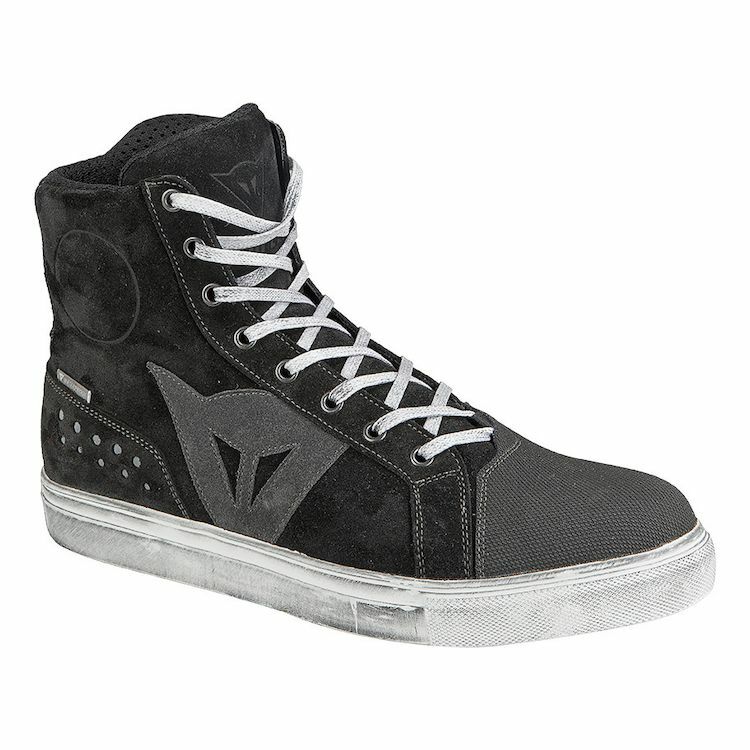 The Women's D-WP Street Biker shoes are ideal for zipping through the city. Their technical content also ensures they are CE - Category II certified. These suede cowhide shoes accommodate tough, highly resistant inserts and provide a perfect blend of fashion and resistance. They have nylon heel protectors and reflective inserts which enhance both active and passive safety factors. The D-WP waterproof, breathable membrane also ensures comfort and versatility. Note: RevZilla has found the Dainese Street Biker D-WP Shoes to run narrow and a touch small and suggests going up if you are between sizes.